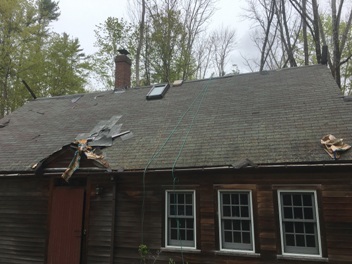 HISTORIC HOME IN LAKES REGION OF NEW HAMPSHIRE GETS A COMPLETE ROOF REPLACEMENT! Original 2600 sq. ft. roof. 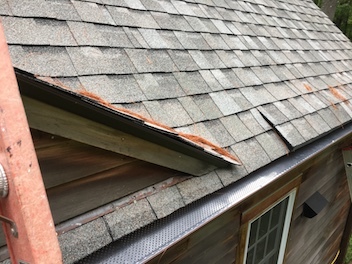 Missing shingles, weathered, old and in aesthetically poor quality. 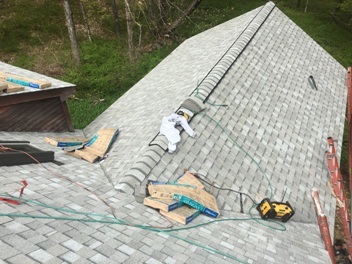 Full tear-off, replacing 1×6 tongue and groove planks and installing underlayment. Leaving no space for any pesky water leaks by skylights. Brand new CertainTeed Landmark Cobble Stone Gray shingles. 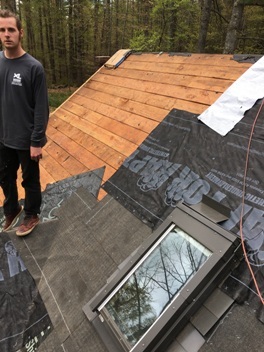 Installed Eave Vent (take a look at the raised section of the roof, which provides a ventilation chute) and Leaf Relief! 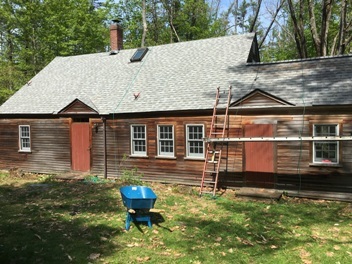 Completed view of the back of the house. 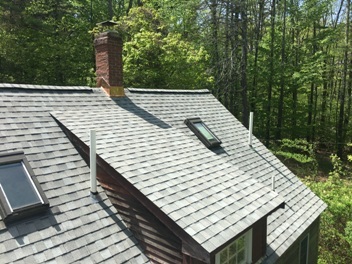 This brand new roof gives so much new life to this beautiful home in the woods! View of the front of the house with the brand new roof fully in place. The Cobble Stone Gray provides a great contrast with the original wood siding of the house! 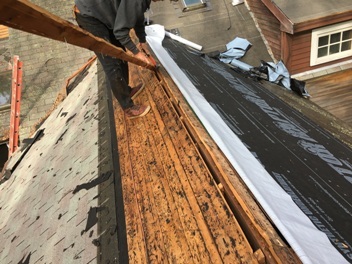 This historic carriage home will now be able to stand the test of time with a new roof that will outlast many stormy, windy, rainy days to come. Another happy customer! 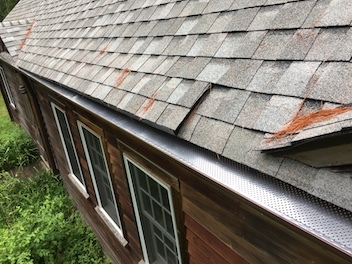 This entry was posted in GUTTERS, ROOF REPAIR, ROOF REPLACEMENT, SKYLIGHTS and tagged CertainTeed, construction, DeWalt, historic home, lake front, lake winnipesaukee, lakes region, New Hampshire, Roof Replacement, roofer, Roofing, shingles, Tear off, woods on September 29, 2017 by Rut327.